The Arkema chemical plant shut down its production on Friday, before the storm made landfall. But 40in (102cm) of rainfall in the area flooded the site and cut off its power, the company said in a statement. Backup generators were also flooded. The facility manufactures organic peroxides, and chemicals stored on site can become dangerous at higher temperatures. He said the black smoke produced would irritate skin, eyes and lungs. The fire is expected to be mostly contained to the site itself but residents of Harris County have been evacuated in a 1.5 mile (2.4 km) radius around the plant as a precaution. 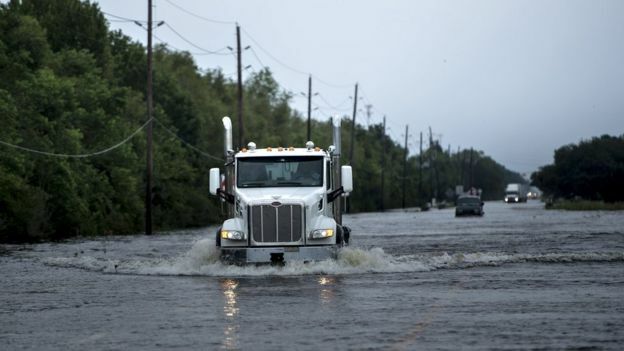 Parts of Texas have been hit by more than 50in of rainfall since Hurricane Harvey landed, setting new records before it was downgraded to a tropical storm and, late on Wednesday, to a tropical depression. Rescue efforts continued overnight. Thousands of people have been rescued from floodwater throughout the state, and more than 32,000 people are still in emergency shelters. 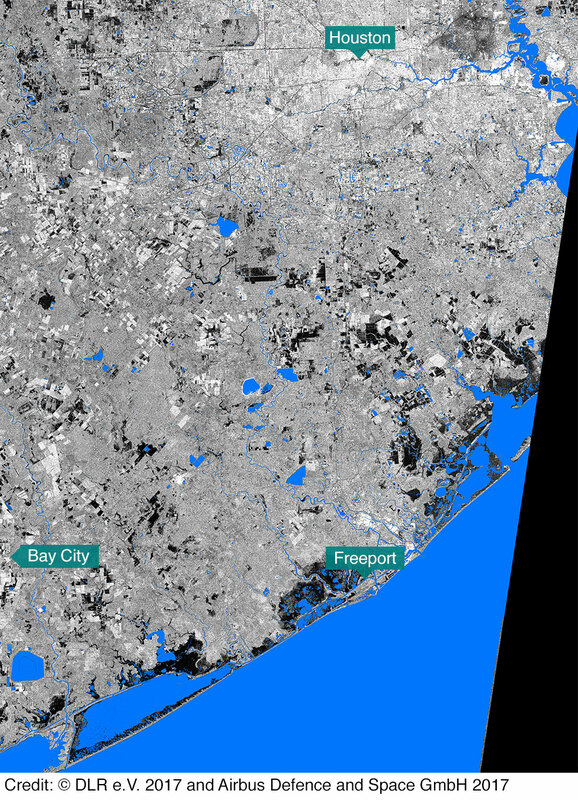 Houston, the fourth most populous city in the US, was badly hit, and large parts remain underwater. 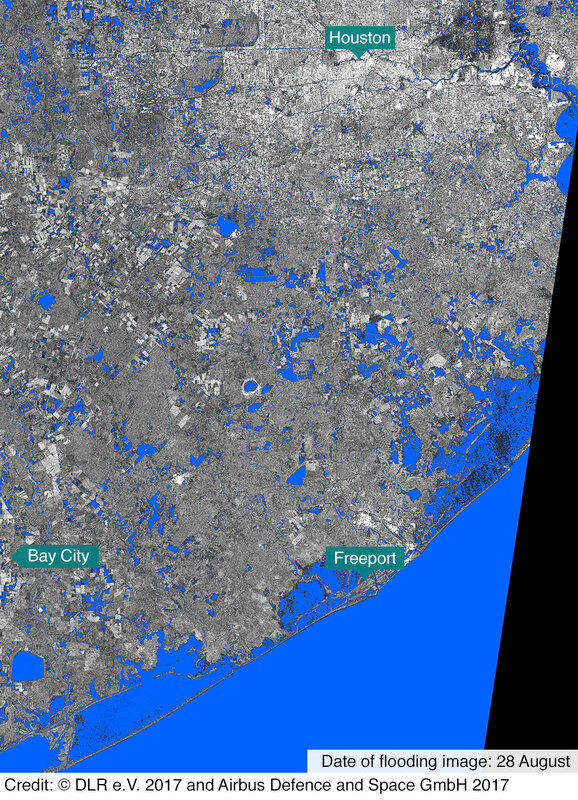 Port Arthur, about 80 miles east of Houston, was also severely flooded. Mayor Derrick Freeman, posting on Facebook, said the entire city was underwater, and appealed for anyone who owned a boat to help. 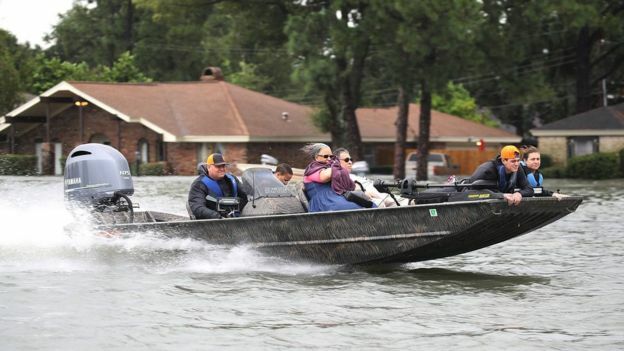 On Tuesday, Houston implemented a curfew in a bid to prevent looting of abandoned homes. Port Arthur followed suit Wednesday. An additional 10,000 members of the National Guard were said to be on their way to Texas to join the rescue efforts, adding to the 14,000 already deployed. Harvey was the most powerful hurricane to hit Texas in more than 50 years when it first made landfall at Corpus Christi, 220 miles south-west of Houston, late on Friday. 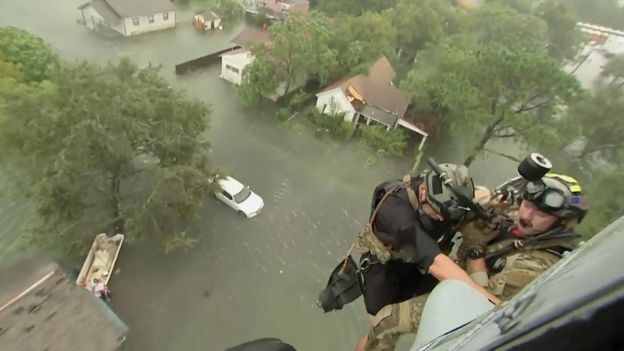 At a press conference Wednesday, Texas Governor Greg Abbott said the state could need more than $125bn (£97bn) from the federal government to help its recovery. And he warned “the worst is not yet over”, as flooding was expected to continue for several days. Meanwhile, the tropical depression is now moving north-north-east, the US National Weather Service said.